310 Animal graspers are essential tools for humane handling of cats, and similar sized animals. The smoothly contoured grasper jaws are designed to restrain animals while minimizing discomfort. 311 Animal graspers are essential tools for humane handling of cats, and similar sized animals. 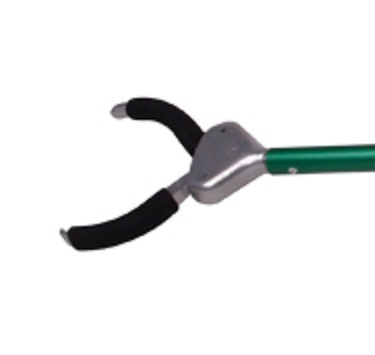 The smoothly contoured grasper jaws are designed to restrain animals while minimizing discomfort. GRC Extra padding for maximum animal comfort and safety.